A brief history of computer graphics, from the earliest text character images from non-graphic mainframe computers to the latest photographic quality images from high resolution personal computers.
. .. '':::I:'.::IHHHHHHHHMHMHIHI. '.'.:IHI..  ' '  '. :... .  ''" .::'.HMHI:HHHHMHHIHI. :IIHHII:. . . .    . When computers were still in their infancy, without screens or keyboards and using punch cards for data entry, and when printers could only print whole characters rather than individual dots, ingenious programmers found that they could "play" with printouts, using dark and light characters to produce crude graphic images. Unlike other images on my web site, this one is made entirely of text characters. Try clicking your mouse anywhere in the "image" and dragging to select some text. You can even copy that text and paste elsewhere! When the first affordable "personal computers" began to appear, their graphics capabilities were generally quite chunky by today's standards. 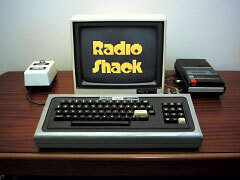 The popular Radio Shack TRS-80 computer had a graphics resolution of 128×48 dots in black and white (or black and amber if you had one of the trendy "low eye strain" monitors). Programmers in those days usually compressed their graphic data in order to squeeze the maximum visual capabilities into the limited program memory of their computers. However, few standard graphics file formats existed – most people simply did their own thing. 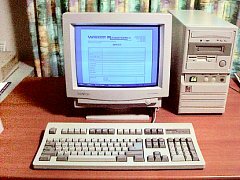 From the dozens of contenders for the personal computer marketplace, the field gradually narrowed to two main players: IBM PCs and Apple Macintoshes. Most of the business world was adopting IBM PCs, which were mainly used for text-mode business applications (eg. Word Processing, Databases, Spreadsheets). The IBM PC originally came with either a Monochrome Graphics Adapter (MGA) or with a Color Graphics Adapter (CGA), which allowed four-colour graphics. The subsequent Enhanced Graphics Adapter (EGA) allowed sixteen colours as well as higher resolution (640×350 pixels). This higher resolution allowed improvements such as "Print Previews". Graphics file formats were becoming more common, with much better compression possible. 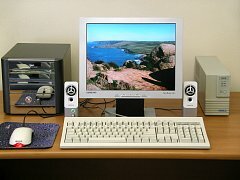 Since the introduction of the VGA (Video Graphics Array) and subsequent extended VGA modes, the IBM PCs could at last display photo-realistic images and movies. Users could now bring graphics into their computers via scanners, digital cameras, even video capture, and have them displayed on their screen or incorporated into their documents. There is now an abundance of different graphic formats for various different types of images and movies. The most common of these are GIF, JPG and PNG (for images) or MPG, MP4, WMV and MOV (for movies). 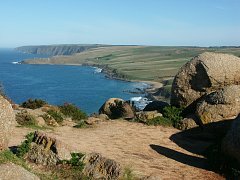 The main advances since then have been in 3-D image rendering capabilities. For example, computer software can now utilize a computer's advanced graphics features to produce stunningly realistic three-dimensional scenes in such things as games or 3-D modeling. Common graphics file formats, which were developed and evolved over the years.